Hi everyone. Today I am joining in with The Card Concept's challenge. The inspiration photo is just so gorgeous and girly. I couldn't resist. I particularly loved the fluffy flower in the tea cup so pulled out a purchased flower that really captures the look. I love the prettiness. I am not quite sure which category fits my card, Freestyle Collage or Mixed Media maybe? PTI Hexagon background Die and PTI gold flowers. Wildflower stamp set I think. 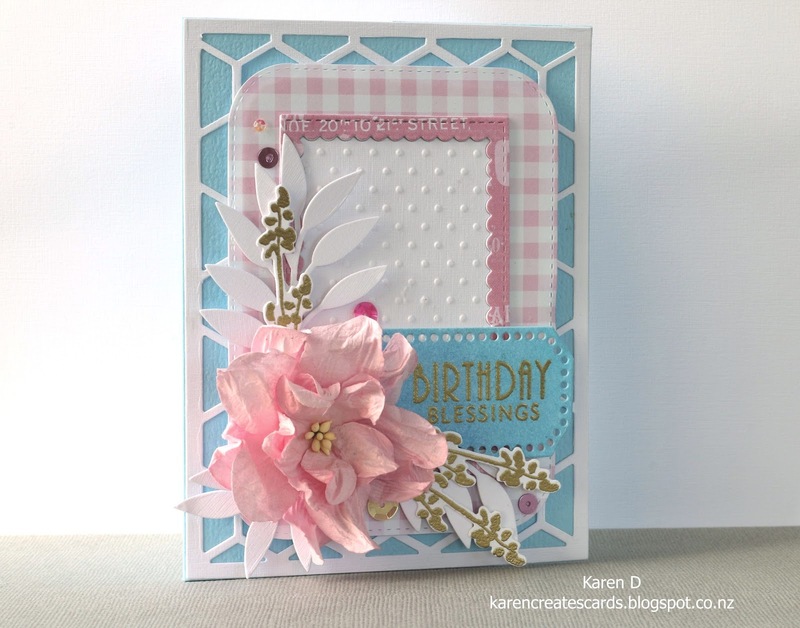 MFT white foliage, rounded corner and inner scallop dies. Yes! Karen, talk about capturing that frilly flower. Your bloom is perfect, both in color and in texture! 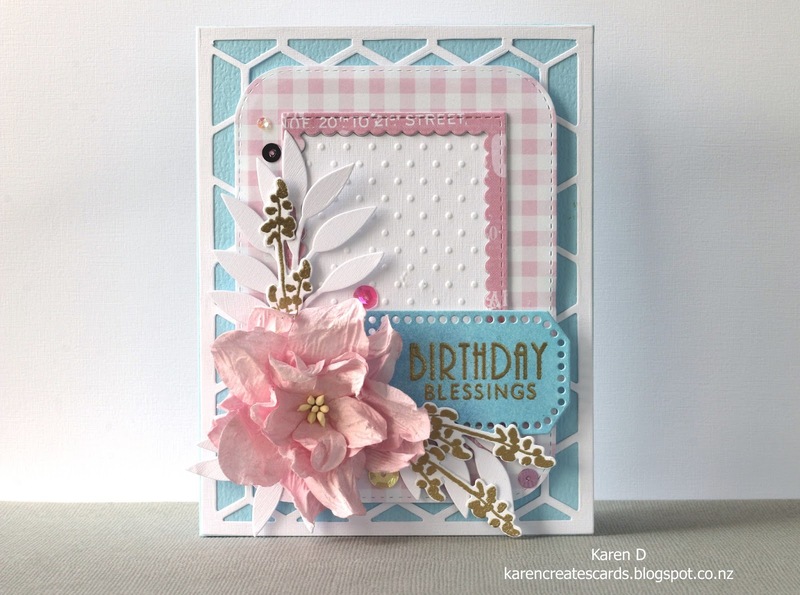 love the sweetness of your card. Layers of loveliness! This is pure loveliness! The dreamiest flower and such gorgeous accents. Beautiful representation of the inspiration pic! Love that flower and your foliage arrangement. Wow, Karen I agree with the others- this is gorgeous!! 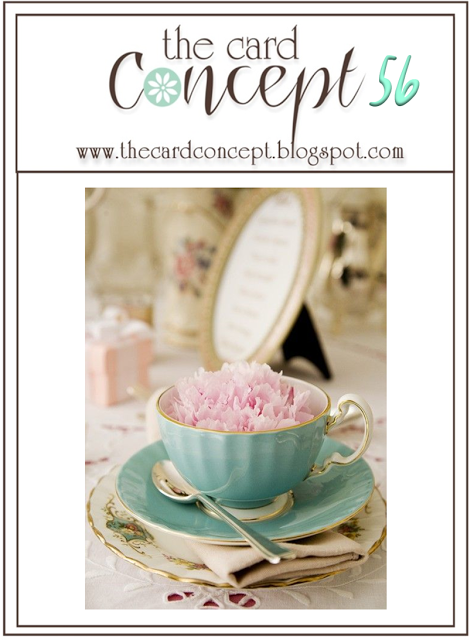 Love your flower and the soft colors- perfect for our Sweet Tea challenge :-) Thanks for playing along with us at The Card Concept! So pretty. I love all the layers snd embellishments. Thanks for sharing at the card concept. YOUR CARD IS GORGEOUS!!!!! 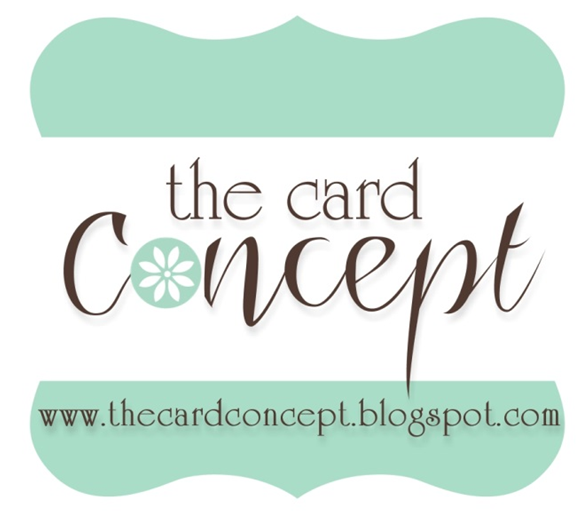 Thanks so much for joining us at The Card Concept!